Da New Wave: Get To Skepta #DaNewWave ? Skepta, is an English Grime artist, songwriter and record producer of Nigerian descent who first worked as a DJ and is now an established artist with four albums under his belt. 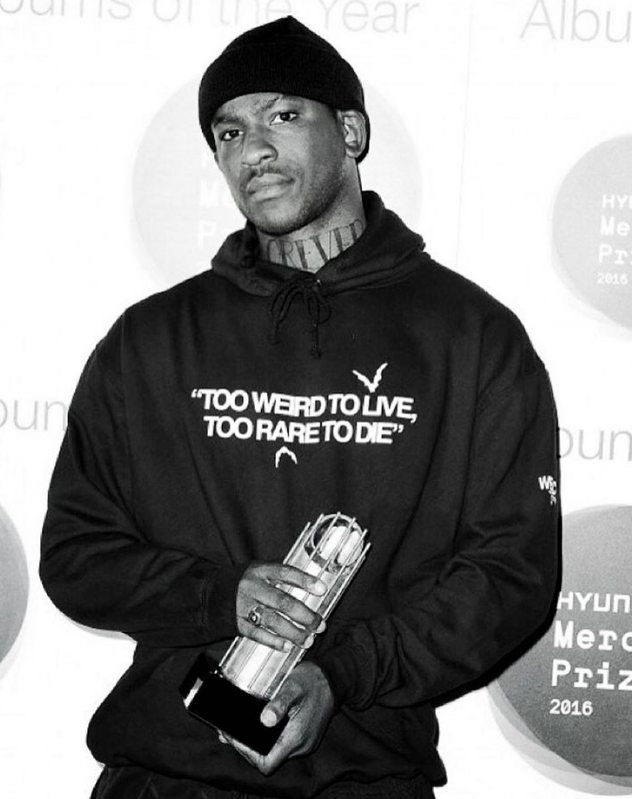 Skepta released his debut studio album Greatest Hits in late 2007 and his second, Microphone Champion in 2009, both independently, his third studio album Doin’ It Again was released in 2011 by AATW. His fourth studio album, Konnichiwa, was released on May 6, 2016 to critical acclaim, winning that year’s Mercury Prize. For us reading this article here in the United States: The Mercury Prize is an annual music prize awarded for the best album from the United Kingdom and Ireland. Just to give you an idea as to how on fire he is out in the UK: his upcoming Apple Music concert ‘Skepta Live From London’ set for December 2, 2016 sold all 10,000 tickets available just hours after they went on sale. Since winning the 2016 Mercury Award for his album Konnichiwa, which became Grime’s highest charting album and which peaked at number 2 in the UK music charts, Skepta has released his new song ‘No Security’ and appeared on tracks with Wiley, Section Boyz and Riff Raff. Get to know Skepta a bit better via his Instagram, stream some of his music below + make sure to cop his album Konnichiwa here.